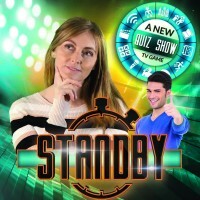 Spanish Onza Entertainment game show "Standby" was selected for The Wit Fresh TV conference for Mipformats Entertainment & game shows. The Wit Fresh TV sessions are among MIPTV biggest highlights, with the Grand Auditorium full of attendants to see CEO Virginia Mouseler outline the latest shows and formats her team has identified around the world. "Standby" is the first game show in which in order to win you must be the last one to answer. Without exceeding the time limit, time that contestants won’t be able to see at any point. Never be the first to answer...in Standby, for each second that passes… you win money! Onza's team will be attending to MIPTV, at stand R7 J11 on the Spanish pavilion Jessica Ortiz, manager of the distributor company says "We are convinced that "Standby" has all the qualities to become a successful format on the international market. Is a game show that has a unique concept that hooks the audience from the beginning." 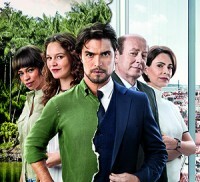 The Portuguese telenovela from TVI was recently acquired for TF1 France to be streamed every day from April 8. “The Pretender” or “La vengeance de Veronica” in France, will be installed on the antennas of TF1 and its sister TF1 Series Films. The telenovela will be broadcasted once on the former HD1 at 6:15 and will be rebroadcasted later on the same channel at 12:55. Moreover, it has also been proposed on TF1. “The Pretender” will be aired on the daily 10 am schedule, serving as a lead-in to “Fires of love” the American soap that has excellent ratings for the time slot. International distributor Onza Distribution has reached agreements with broadcasters in new territories including Latin America, Africa, and Asia. Portuguese drama has been in the spotlight lately after the “The Only Woman” was sold in more than 70 countries around the globe and “Payback” was the winner for the international Emmy award, there is a growing interest for this type of content. Croatian Radio-television has acquired a package of three films to stream on Croatian public television during this coming year. The package includes the Italian movie “Nine Moons and a Half”, the Portuguese “The Miracle of Fatima” and the Spanish “The Power of Silence”. 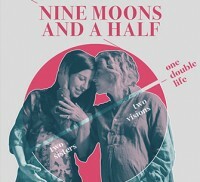 “Nine Moons and a half” is a comedy about two with contrasting visions of life, one dreams to become a mother and the other is an adventurous and brave cellist without maternal instinct. With help from one doctor, they decide to do the unthinkable and live a double life in front of their family. “The Miracle of Fatima” is a religious drama that tells the incredible story of Jacinta, the youngest seer in the apparitions of Fátima. A unique film where the theological dimension of the phenomenon of the apparitions is overtaken by the human dimension of a child touched by the transcendent. “The power of Silence” is a drama settled in 1940s and based on Pau Casals life’s, who was considered one of the best musicians of its day. He lives in exile in Prades in France, from where he tries to help republican families in need, while often having to hide from the Gestapo who control the area. “Onza’s film catalog is on constant growth, expanding from the TV market to films and currently opening to new sales opportunities among the globe,” says Jessica Ortiz, managing director of the distributor. The Pretender, the Portuguese telenovela has been sold to a number of new territories including French-speaking Europe and Africa. The telenovela produced by the leading broadcaster TVI it's opening market around the globe and recently opened the door to LATAM with the deal to the Argentinian Telefé. The title is available in neutral Spanish and French dubbed versions and is expected to travel to more countries. "Portuguese drama has been in the spotlight lately, with the success of The Only Woman in Africa and South America, there is a growing interest for this type of content across the global market,” says Jessica Ortiz managing director of the distributor. Spanish-based Onza Distribution sells the telenovela ‘The Pretender’ to Argentine broadcaster Telefe. ‘The Pretender’ was airing in TVI until the end of last year, proving to be a huge hit in its home market, leading ratings during its airing and a second season following it. ‘The Pretender’ tells the story of the mysterious disappearance of a plane, taking Veronica’s twin sister, a victim of a millionaire scam. Since her sister is presumed dead, Verónica assumes her identity and swears revenge on the businessman’s family. Her main opponent is his wife, Diana. Jaime, Verónica’s nephew, is in the middle of this war. He suffers from cancer and needs to be saved. Also, amid this turmoil is Rodrigo, Diana´s great love in the past, but who the two rivals are fighting for in the present. Jessica Ortiz, the managing director of Onza Distribution explained “We are now in open negotiations with other countries. ‘The Pretender’ besides being a big production, it has is a great story, with an international concept that will travel very well all-around Latin America”. The Portuguese telenovela “Payback” produced by TVI and distributed worldwide by Onza Distribution wins in the Emmy Award 2018. Written by Maria Joao Costa and featuring Diogo Morgado and Joana de Verona, this telenovela was competing with the Turkish “Cezur ve Gezel”, “Instanbullu Gelin” and the Mexican “Paquita la del barrio”. “Payback” was broadcasted by TVI breaking local audience records. Also broadcasted by TVI, “My love” was the first Portuguese telenovela winning an International Emmy Award in 2010. The 36th edition of the Emmy’s took place on the 19th of November in New York where 11 prizes were awarded at the ceremony. Univision acquired the rights of five Portuguese mini-series and one Spanish. Dalia the dressmaker” is a four-episode drama set in the 50’s that broke regional audience records. Dalia arrives in Prescedo to find out if the sudden death of her mother was a twist of destiny. With her sewing machine as sole inheritance, she establishes herself in the village. A story where intrigue and love go hand in hand. The Portuguese miniseries are all different, yet exciting and intriguing in its own way. “37” starts with the murder of a university teacher, an enigma that will become more puzzling with each new victim, everyone is a suspect and nobody’s safe. "Happy days" tells the story of Ana and Miguel, who meet each other under tragic circumstances to discover a secret held by their family. Drama, mystery and a love affair hidden for more than 10 years will be leading subjects throughout the episodes. "The Gift" is about a psychologist that possess as a psychist and is exposed by his ex-wife. Humiliated and depressed decides to move back to his hometown, where he will discover his new paranormal talent among other secrets. "Redemption" tells the story of Rogério, a ruthless and successful businessman who climbed his way up by pushing a lot of people down. 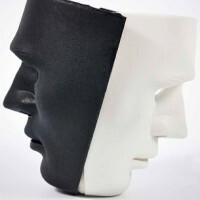 He decides to take its own life when he realizes he has a “guardian angel” and will try to change and amend his mistake. "Love is a dream" is the story of Lidia, a young woman who doesn't believe in love and lives a stressful life, from her work at a newspaper agency to the social events she attends and the chaos of her own apartment. She makes a mockery of all romantic feelings and constantly dismissing the sentimental stories of her friends. This selection of mini-series distributed by Onza Distribution will be part of the content of the new SVOD platform of Univision. Filmed entirely in 4K and available in 26 episodes. It is a truly visual spectacle that takes place in different ecosystems, giving a new vision of the fauna, the biodiversity and the importance of the forests for preserving the life of the planet. Jungle planet travels to the most exotic and remote destinations on earth, from the rainforests of Borneo, where the last orangutans live, until the finish taiga where the brown bear hibernates. 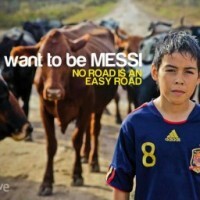 12 different countries throughout the globe and 2 years of work are the results of this beautiful documentary. Spanish-based Onza Distribution has sold the new travel documentary series “Global Child” to different airlines around the world such as British Airways, Cathay Pacific Airways, Iberia, Royal Jordanian Airlines, Delta Airlines, SAS, Thai and Level. The series is available in 4K and in English and Spanish version. The first season (10x26’) is already completed and the second season (10x45’) will be ready by January 2018. Global Child takes the viewer across Japan, Australia, Sweden, Argentina, New Zealand, Israel, Russia, Peru, Tanzania and US (San Francisco), with ten more destinations coming for the second season. 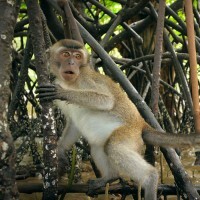 “Global Child” is a travel show based around experiences where viewers can get immerse. Ten short tutorials of how to travel and experience the world. 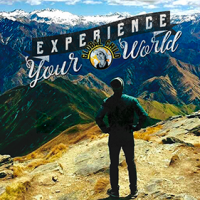 Augusto Valverde uses the power of Social Media and top travel sites to connect with millennials through amazing adventures as he explores the world. Each episode is an uplifting life lesson packed with laughter and adventure as Augusto brings back the human element to a genuine travel experience. ¨The Department of Time¨ remake rights have been sold to China. The time travel drama will be the first Spanish fiction in being adapted to the Asiatic giant market. One of the biggest primetime now in its second season, is produced by Cliffhanger TV and Onza Entertainment, and co-created and written by Javier Olivares. Series’ format has been already optioned in the U.S. and Latin America. A Portuguese version, produced by outfits Veralia and Inizio Media, has been ordered by pubcaster RTP and will come to light really soon. All these achievements have generated a big interest in the international market and there are other deals coming up from European key territories that will be revealed soon. Moreover, the series won the bronze medal for Best Drama at the International Television and Film Festival of New york adding a new award to its track record. Previously, it was awarded at the Situan TV Festival with a Gold Panda Award in the category of Best Director. ¨The Department of Time¨ parts from an original premise: There is a secret department since the time of the Catholic Kings, in 15th century Spain, which allows people to travel into the past. The civil servants working in the department are in charge of watching the time doors, with the aim of preventing any intruder from the past entering in the present – or vice versa – to change the course of history to their own benefit. The fiction series ¨The Department of Time¨ and the documentary series ¨Roman Engineering¨ are finalists at the International Television Festival New York Film 2016, and the winners will be announced on April 19th in Las Vegas. 'The Department of Time' is the finalist in the Fiction category. A series of adventures, comedy and drama that has established itself as the Spanish cult series per excellence. The format originality, the production quality and the script make this time travel series a masterpiece. The Department of Time is a secret government institution with a primary mission: to prevent anyone from altering the past. Created over 500 years ago, the existence of this department has been carefully hidden by subsequent kings and governments and therefore very few people know of its existence. Officers at the Department of Time are trusted with the crucial mission of guarding the "gates of time" in order to prevent intruders from travelling through them with the purpose of changing the course of history in their own benefit. The documentary series 'Roman Engineering' is the finalist in the arts category. The documentary recreates architectural works and cities of the Ancient Rome in 3D. With the engineering knowledge of the host, Roman Engineering embarks on a dizzying journey through different places where striking works were carried out and prodigious technics were achieved. The documentary will show the methods Romans used to sort the valleys, drill the mountains and transport the water. If you need more information about the program do not hesitate to contact us. 2015.08.05 | Onza Distribution, a production and distribution company based in Spain, confirmed that Canal 13 Chile will be the first channel to broadcast TVI´s Telenovela, ¨The Only Woman¨ in Latin America. Released in March this year, the Telenovela continues on air with more than 100 episodes on the leading channel in Portugal. It has been sold in all the African Portuguese-speaking countries: Mozambique, Angola and Cabo Verde. ¨The Only Woman¨ tells the story of a great national bank that triggers the clash of two realities and the conflict between two families. Luis Miguel is a young engineer who seeks to build a career in Angola. He leaves behind a traditional and conservative family, one that has been affected by the crisis. Luis Miguel meets Mara in Angola, the nurse who saves him from near death. The girl’s father is an Angolan businessman who has significant investments in Portugal and he is also the construction firm’s number one client. He holds the company’s fate in his hands but he bears a deep grudge against the Portuguese, since his father was murdered by one during the Colonial war. The legacy of this past and his current interests turn a corporate dispute into a clash of two worlds. Gonzalo Sagardía, Onza´s managing director, explained: "We had been in talks for a few months and finally got our first Portuguese content sale in Latin America. We are elated and we hope that success in Chile leads to sales in other countries. In fact, we are starting negotiations with other territories now. Onza Distribution is TVI´s exclusive agent; they also have 15 other productions to offer. Gonzalo’s stand out ¨The Kiss of the Scorpion¨ has huge sales potential for the US/Hispanic market. This Telenovela narrates the story of two sisters with really different economic backgrounds. While it looks like a traditional concept, Sagardía said it has a 'spin' on the traditional telenovelas, since in this case the rich one is the good person and the humble one is the evil person. NATIONAL GEOGRAPHIC ACQUIRES THE RIGHTS OF "I WANT TO BE MESSI"
Onza Distribution will be at MIPCOM, the biggest market in the audiovisual industry, which will take place in Cannes from the 7 to the 10 of October. 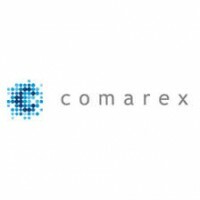 The company will serve its clients in stand R.33.18 located in the Spanish section. In its first appearance, Onza will show a catalogue consisting of more than 5,000 hours of great quality television. The newest memer to its catalogue is The Avatars (52x23), teen drama that will premiere shortly on Italy's Disney Channel and in Rai Gulp, and that Onza will co-distribute along with Boomeran Internacional. Some of their newest items also include Roman Engineering (4x52), a high budget documentary that shows the viewers the ingenuity and creativity of the Roman people had to build their cities and aqueducts, garnished with incredible 3D animations and lots of eye candy; Crossed Destinies (180x50), the latest hit of the Portuguese Soap Operas, and the leading program for Onza Distribution's Soap Opera catalogue; Synchronized, a program that compares the life of three persons who share the same job in three different cities, will be the big arrival for the Factual programming. 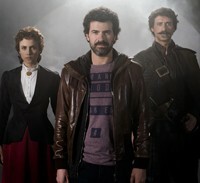 Synchronized will premiere on TVE throughout September of this year. Along with its main releases, the company will showcase successful programs such as The Anthill (8 seasons),the famous show presented by Pablo Motos that has been optioned in more than eight countries. Onza's catalogue also highlights its variety and great quality within its Lifestyle programming, led by Karlos Arquiñano's cooking shows. The catalogue Onza will have available to buyers is garnished even more with incredible Fiction series, documentaries, soap operas, factuals, lifestyle, and entertainment programs.